Starting with the cover of Suzanne's Latest book " "Timeless Style"
you see that there is an extraordinary style that transcends decor. In this scrumptious book,( because that IS how I feel page after page). I want to have more. an amazing four cottage compound in Africa. Her friends who asked her to complete the project, also own the cabin on Mt. Kenya where Prince Phillip proposed to Kate Middleton. As you have seen so far, Suzanne's has a wonderful time with color palettes, some are big surprises. She will spend hours at Mercerie Parisienne which is a shop devoted to beautiful ribbons. They will cut yard after yard for her of all kinds; upon returning to Atlanta, (just as I would) spreads them out on her bed, playing and coming up with all kinds of color combinations. Kasler says she has worked out some of her most interesting palettes that way. that actually mimics that of art on the wall. It takes a keen eye to accomplish this. Natural elements and the rustic also play a part in her design works. Notice the light soothing shades against the dark wide plank floors. 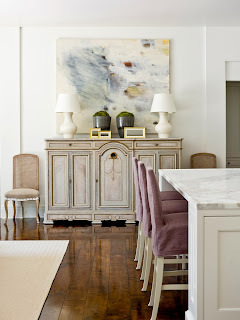 The subtle lavender linen covers on the stools. 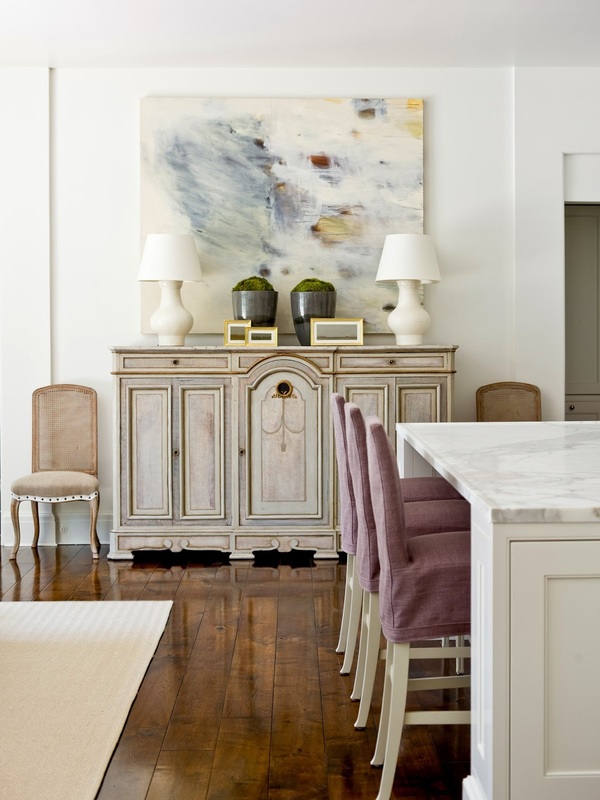 Enlarging the image brings out all of the subtleties of color on the French painted credenza. 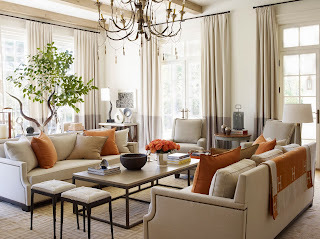 In this Family Room orange in the Hermes blanket and pillows with all natural linen just works. I love the break of color in the curtain panels. 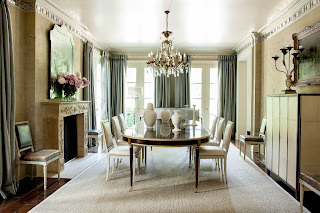 It is a way to color block and anchor a room when there is great ceiling height and many windows. 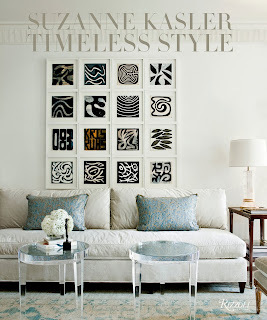 Order Suzanne's "Timeless Style" here. Thank you to all of my readers who support The Arts! Suzanne is SO talented, Karena. Thank you for sharing this book! Thanks for sharing, my friend! I have been a fan of hers for forever! 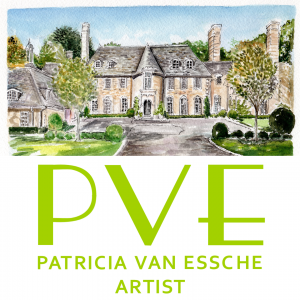 Nice to learn about a local artist and designer. Beautiful work. Beautiful! Each room is more beautiful than the next! Suzanne is quite the talent and a lovely women too! the purple wallpaper is very nice! 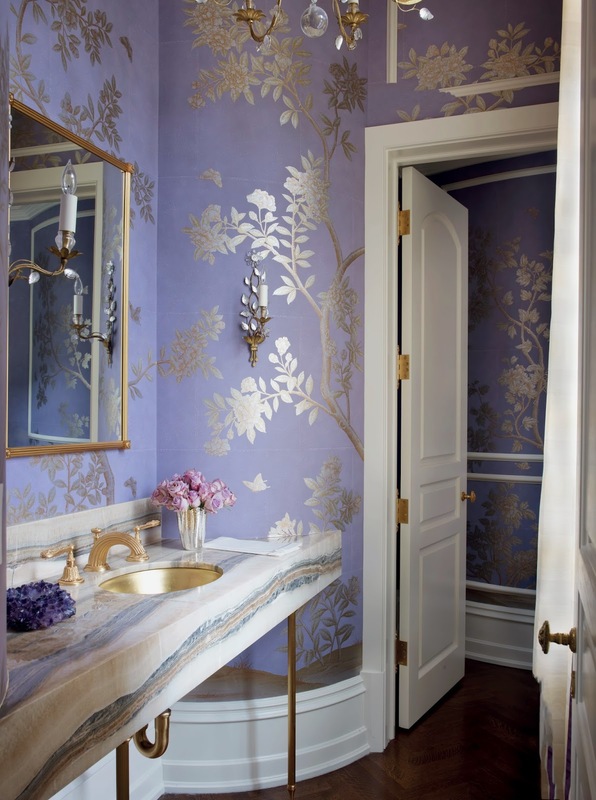 Her style is flawless - love the lavender bathroom! I am enchanted by these photos. 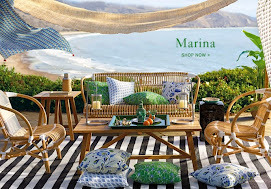 The soothing color palettes with pops of color. I love the idea of using ribbons to blend a fresh color palette. Gorgeous designs and this book looks like a must. Wonderful post! 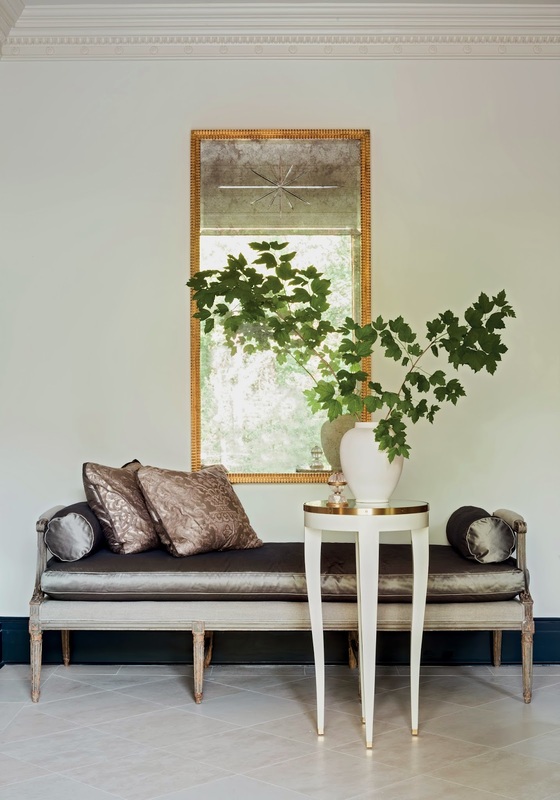 Thanks for you kind comments on Stylemindchic-that was a special post to write. So Manu pièces in her book that speak to me over here, love the buffet in that dinning setting. 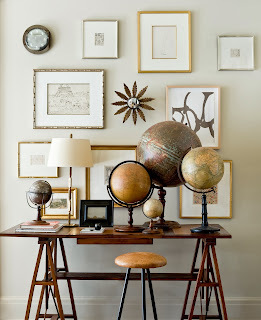 Funny how these very eloquent pieces blend so beautifully in a rustic home! Thank you for this share, I may just have to order this book. Hi! I hope you have been well! I love her style btw..that purple wallpaper is amazing. Thanks for sharing this! Interesting tidbit about the ribbons! What a LOVELY post:) your blog Is SO inspiring and Im now following..I hope you follow me back. This country has so much talent in every field, and so is interior design. She is wonderful, a lot of attention to detail. The purple powder room is very elegant. THANK YOU THANK YOU THANK YOU, KARENA for the Tom Sheerer book...I'm saving it for the weekend. It arrived while I was on vacation...such a special, sweet surprise. Hope you are doing well. started it.. He made a book white on white for me. Love this weather. 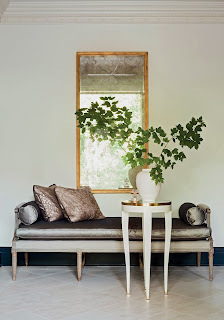 Love Suzanne...her work is impeccable..such a brilliant designer! I am really anxious to get this book Karena! I loved her first book and find I refer to it constantly! I adore Suzanne's work and have got to get this book!